Hope all of you have had a good first couple of days into the new academic year! 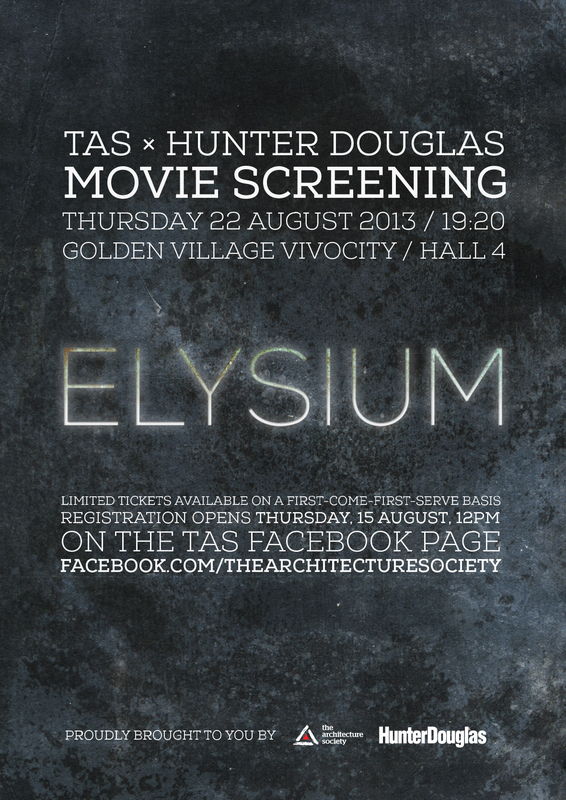 Before things get heavier, TAS, in conjunction with HunterDouglas, is organizing a movie night, and we’ll be screening ELYSIUM on the 22nd of August for your enjoyment! Registration starts tomorrow at noon 14th of August, Thursday. More details will be released on the TAS Facebook page, so watch our page for the registration link tomorrow!